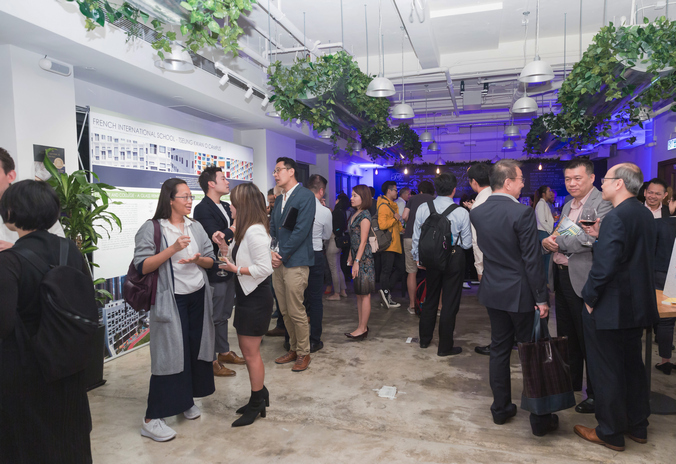 On Thursday 11th October 2018 Inhabit Hong Kong hosted close to 200 industry colleagues, friends and media for a technical showcase on façade and lighting design. 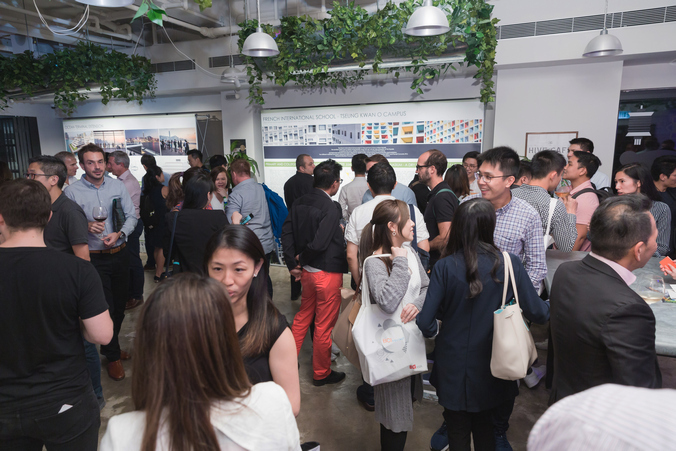 Held in collaboration with the Royal Institute of British Architects (RIBA) Hong Kong Chapter and BCI Media Group, the evening touched on a variety of Inhabit projects from all over the region to show the breadth of expertise and services that makes up Inhabit. This ranged from façade engineering and design, access and maintenance solutions to lighting for façade, interiors and landscapes. 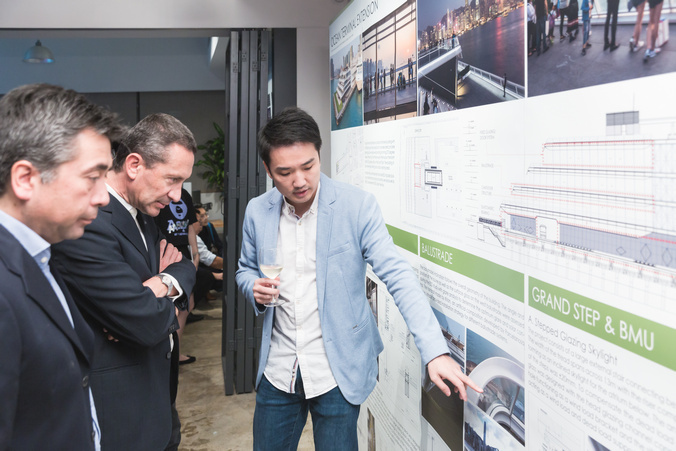 Hugh Brennand, Inhabit Executive Director and Founding Partner, said the event had been an opportunity for the architectural and construction sector in Hong Kong to see first-hand the depth of experience Inhabit offered. The entrance showpiece was a tunnel-like structure assembled with programmable LED strip lights that reflected the effects of the ever-changing sunset and sunrise in Hong Kong. 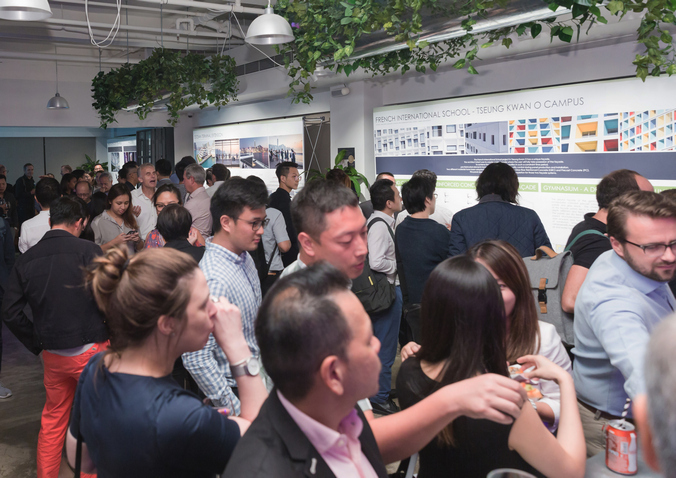 This immersive experience created a visual stimulus and representation of lighting to create a sense of excitement as people moved through the structure into the event space. 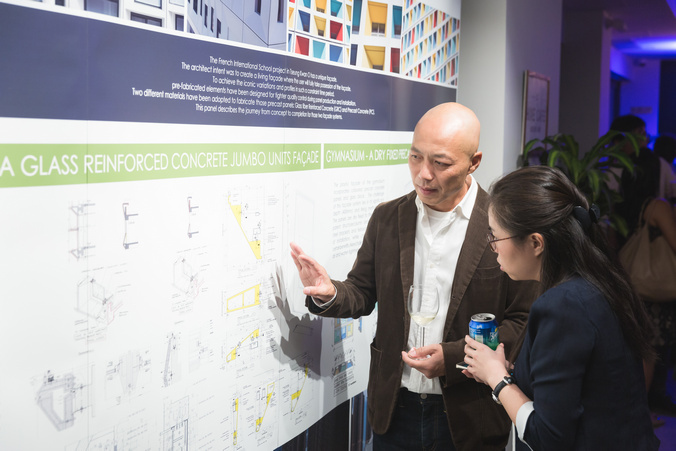 Dennis Chang, Senior Façade Engineer | BMU Team Leader showcased the breadth of services Inhabit provides, ranging from façade engineering and design to access and maintenance solutions for both external and internal facades. 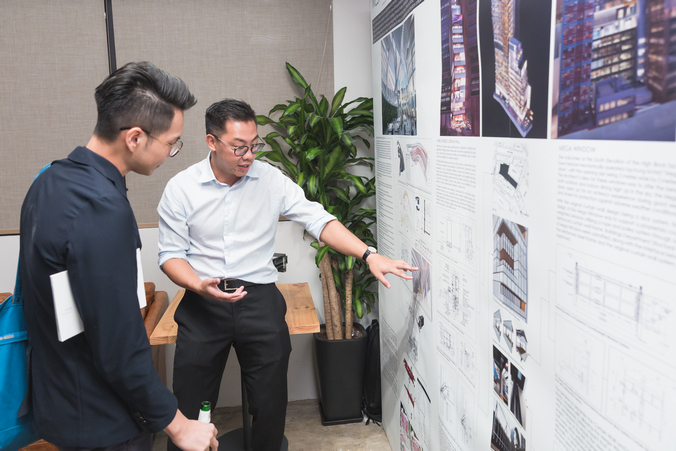 The Code-H building in Hong Kong displays the diverse technical input from Inhabit that helped deliver the façade design, with logistics, structural, mechanical and thermal performance key considerations that had to be solved to realise the designer’s intent. The BMUs at Menara Astra office tower in Jakarta, Indonesia, are state-of-the-art machines. 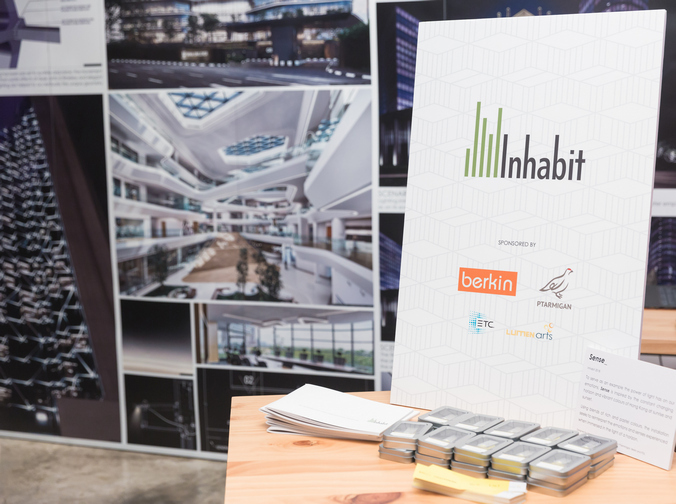 Inhabit assisted in rationalising the geometry of the roof structure and developed the complex inclined double-curved track with a rack and pinion system to ensure functionality and the safety of the BMUs. The West Kowloon High Speed Rail Terminus in Hong Kong demonstrates Inhabit’s understanding of the operational needs of access and maintenance, simplifying the original, complicated proposal to a basic solution of using a fleet of MEWPs for internal façade access. 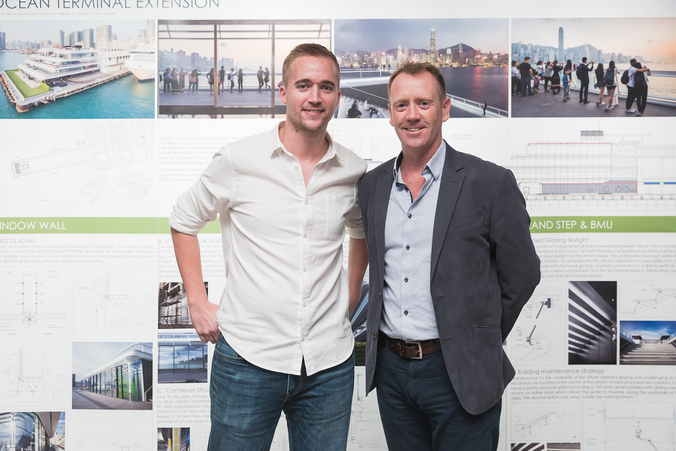 Thibault Legras, Senior Façade Engineer, focused on the French International School new campus. 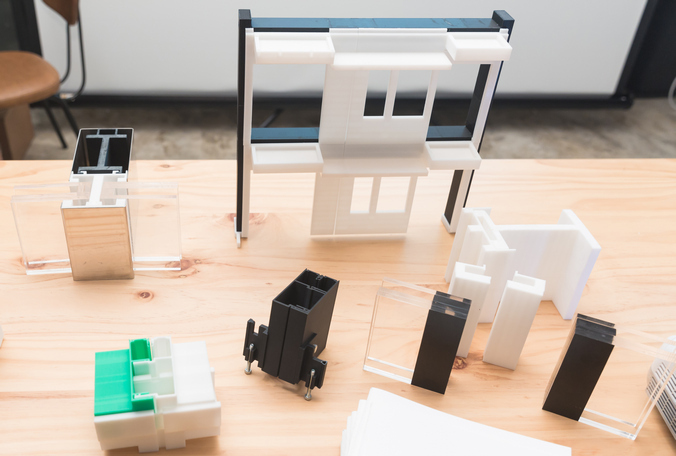 Two types of prefabricated facade were designed for the building. Its jumbo size and seamless faceted units were achieved using Glass Reinforced Concrete. 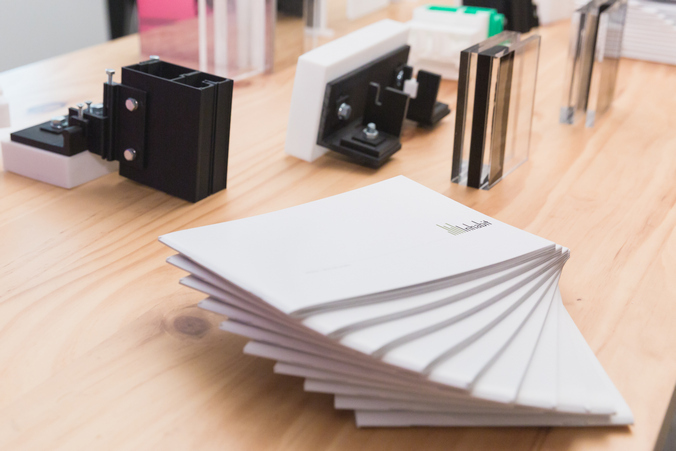 This material allowed the weight to be reduced and to prefabricate each unit so they could be installed within a time constraint. Precast concrete was used for the colorful gymnasium facade. 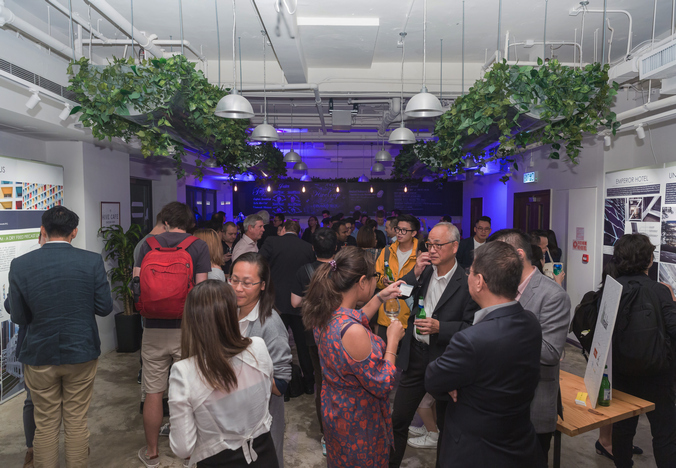 The dry-fixing method faced strong statutory challenges and its success is a proof that such innovation is achievable in Hong Kong. 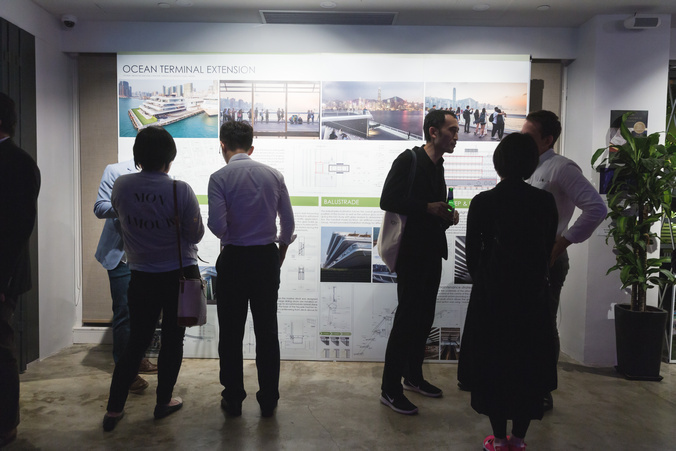 William Lin, Senior Façade Engineer, discussed the extension building at the Ocean Terminal in Kowloon. The project features a number of unique and highly sophisticated façade systems. One of the major challenges was the large movement of the ground floor due to tidal changes. 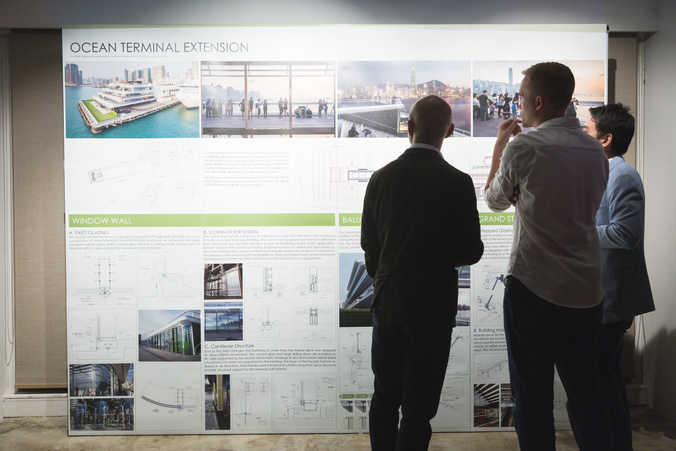 Berthing cruise ships require the base of the façade support to be released in all directions. 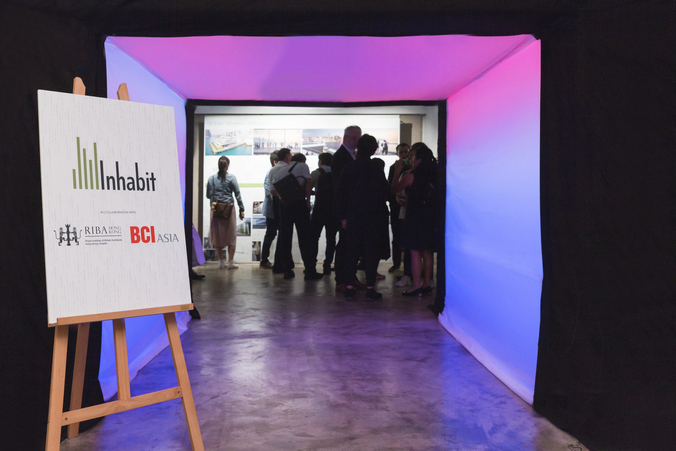 Inhabit introduced the concept of elastomeric bearings and cantilever steel frames to compensate the movement for both the curved double-laminated insulated glass units and the 4.7m x 9.6m custom-made automated sliding door system. The lighting scope included the façade, landscape and interior, featuring a common design language that connects each aspect to generate a clean and integrated visual aesthetic, while ensuring the lighting met the expectations of European design quality. The façade lighting demonstrates the benefits Inhabit delivers by developing integrated outcomes of façade engineering and lighting design working in parallel. 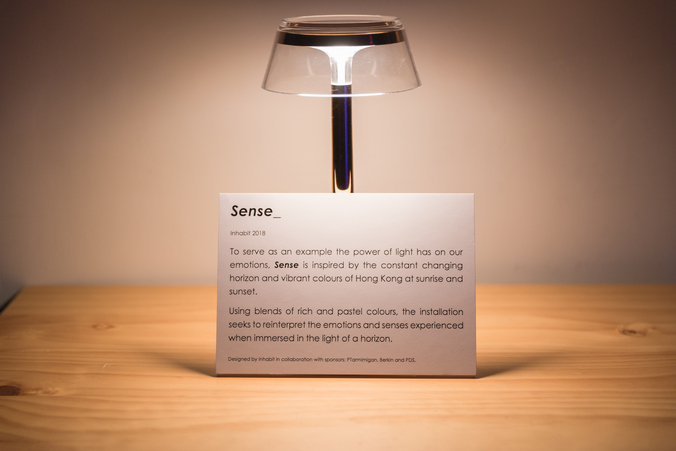 A series of creative concepts was developed to highlight the unique architectural interpretation of St. Paul’s church and provides an interactive and immersive experience through lighting that responds to human movement.